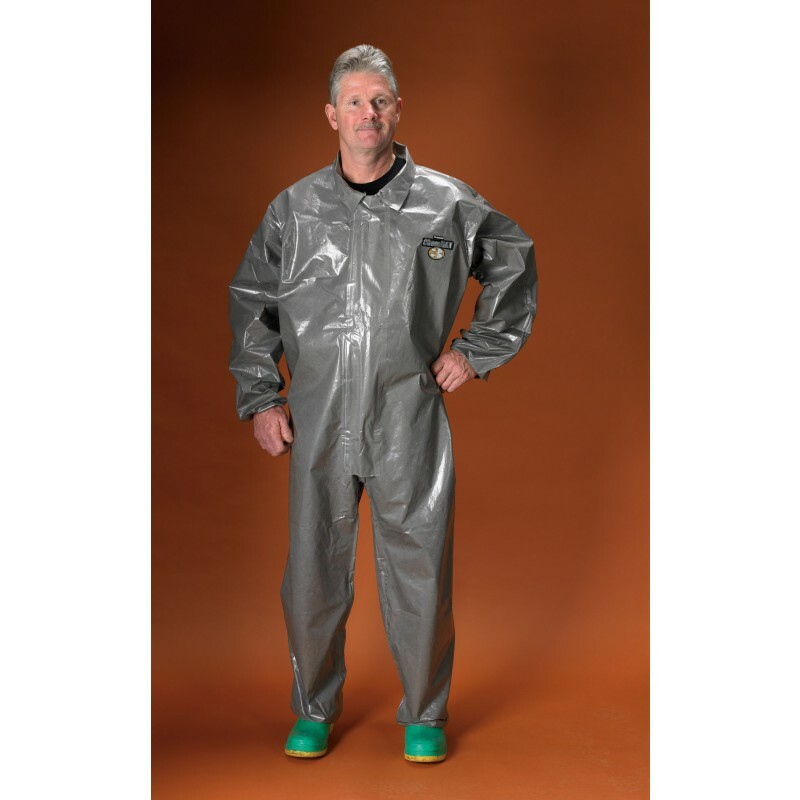 Lakeland Coverall C3T110 ChemMax® 3 offers advanced chemical protection for industrial, emergency responder and law enforcement. Lakeland Industries provides an advanced chemical protection line for industrial, emergency response and law enforcement called the ChemMax 3. The ChemMax 3 is designed with the latest technology to provide a superior product. Quality-made and guaranteed durability. Its lightweight structure offers a barrier against a wide range of toxic industrial chemicals, dual use chemicals, chemical warfare agents and other harmful contaminants. Constructed with a multi-layer film that is applied to a heavy polypropylene non-woven for an increase in strength and durability. Its barrier film is significantly softer than other products on the market offering more comfort than most protective wear and resulting in a more quiet & sufficient style safety line. 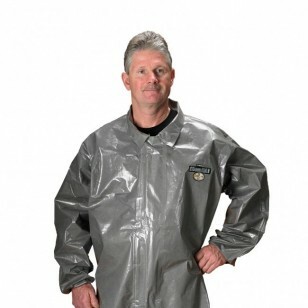 ChemMax 3 garments give you the confidence you need in safety and the trust you expect. Protect your team by doing the best to secure them from the dangers that may possibly lurk around. 1. ChemMax 3 is not flame resistant and should not be used around heat, flame sparks, or in potentially flammable or explosive environments. 2. Garments made of ChemMax 3 should have slip resistant or anti-slip materials on the outer surface of boots, shoe covers or other garment surfaces in conditions where slipping could occur.